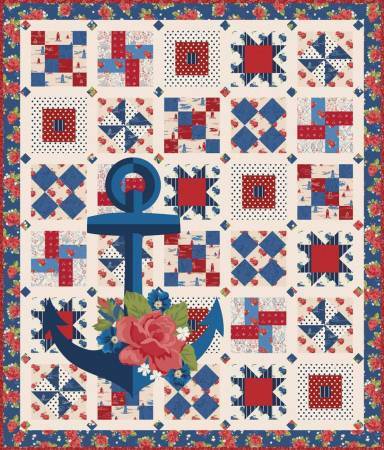 The Admiral Harry Quilt Kit includes pattern and fabric to complete the quilt top, binding. Backing not included. Fabric featured is Harry & Alice Go to the Sea by Amanda Herring. Pattern is by Amanda Herring. Finished size is 68" x 80".